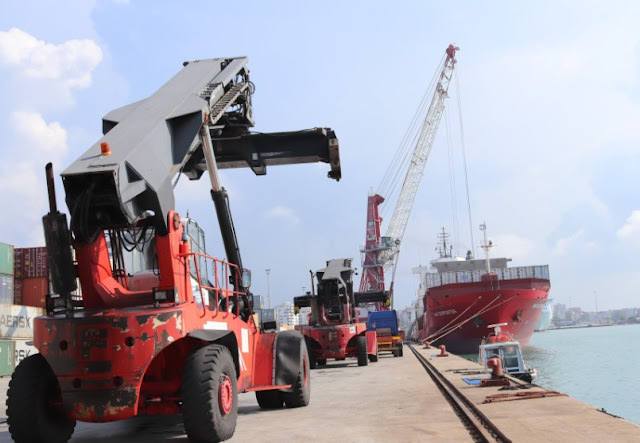 In the port of Durres, during January-August of this year, 2,425,153 tons of goods were processed, or 25 thousand tons more than the same period of 2017. From the port statistics it is learned that the ferries have transported from Durres, Bari and Ancona some 570 thousand tons of different goods loaded in trucks and trains in the first 8 months of the year, marking an increase of 8 percent compared to the 8-month period 2017. The rest is processed on merchant shipping vessels. The APD Sector Statistics suggests that only about 300,000 tons of goods were processed in August, or 7 percent more than in August 2017. Since the beginning of this year, 372 commercial vessels and 689 ferries have been processed in the port of the country's largest port.